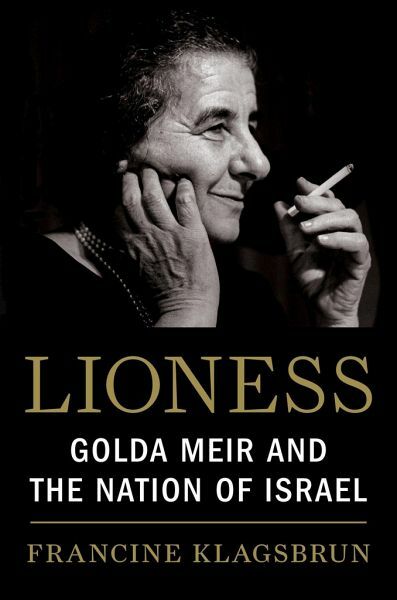 The definitive biography of the iron-willed leader, chain-smoking political operative, and tea-and-cake-serving grandmother who became the fourth prime minister of Israel Golda Meir was a world figure unlike any other. Born in tsarist Russia in 1898, she immigrated to America in 1906 and grew up in Milwaukee, where from her earliest years she displayed the political consciousness and organizational skills that would eventually catapult her into the inner circles of Israel's founding generation. Moving to mandatory Palestine in 1921 with her husband, the passionate socialist joined a kibbutz but soon left and was hired at a public works office by the man who would become the great love of her life. A series of public service jobs brought her to the attention of David Ben-Gurion, and her political career took off. Fund-raising in America in 1948, secretly meeting in Amman with King Abdullah right before Israel's declaration of independence, mobbed by thousands of Jews in a Moscow synagogue in 1948 as Israel's first representative to the USSR, serving as minister of labor and foreign minister in the 1950s and 1960s, Golda brought fiery oratory, plainspoken appeals, and shrewd deal-making to the cause to which she had dedicated her life-the welfare and security of the State of Israel and its inhabitants. As prime minister, Golda negotiated arms agreements with Richard Nixon and Henry Kissinger and had dozens of clandestine meetings with Jordan's King Hussein in the unsuccessful pursuit of a land-for-peace agreement with Israel's neighbors. But her time in office ended in tragedy, when Israel was caught off guard by Egypt and Syria's surprise attack on Yom Kippur in 1973. Analyzing newly available documents from Israeli government archives, Francine Klagsbrun looks into whether Golda could have prevented that war and whether in its darkest days she contemplated using nuclear force. Resigning in the war's aftermath, she spent her final years keeping a hand in national affairs and bemusedly enjoying international acclaim. Klagsbrun's superbly researched and masterly recounted story of Israel's founding mother gives us a Golda for the ages.